Image from my morning walk. Spring just might be here--finally. 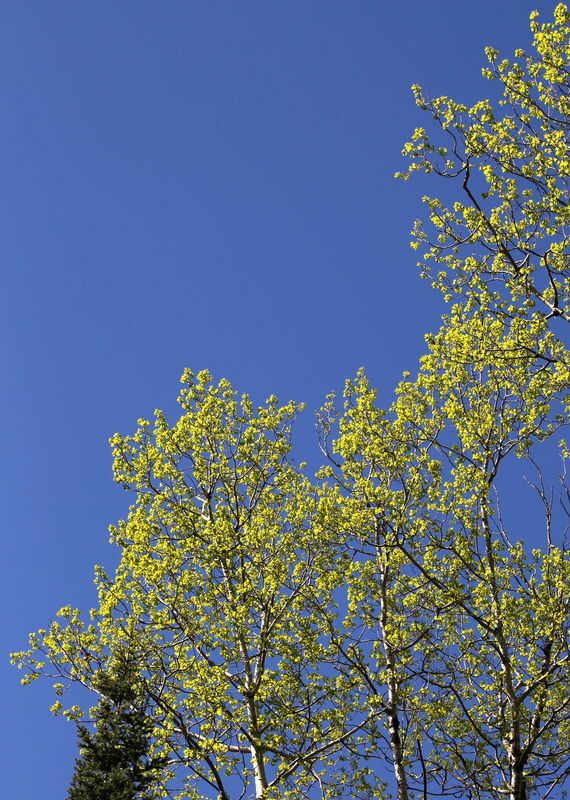 I love the interplay of the bright, lime-green aspen leaves against the totally clear blue sky--memories of my past life in Montana's Big Sky country. 5d3, 24-105L, slight crop and highlights in Picassa. C&C welcome. That is some pretty sky. Don't speak too soon about spring though. We drove in snow yesterday in Gallup, NM. I love these views. I always have to snap a few of these. I always said if I were a decorator, I'd use these lovely spring colours in my living room! Nicely done.